Can't get internet service at home? Need to stay connected on your next road trip? Check out a Wi-Fi Hot Spot at the Library! Library cardholders can request a Hot Spot to be delivered to any branch or Mobile Library through the Library's online catalog. Connect up to 8 devices to one hot spot. Available for check out to library cardholders in good standing. Check out period is three weeks. Hot spots may be renewed if there are no holds. Late fee is $.10/day; service will be disabled 24 hours after the due date. 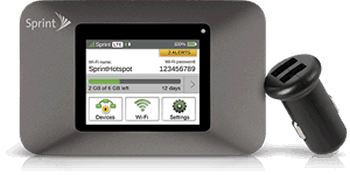 Get more information about using the hot spots in the Mobile Hot Spots User Guide.